Opera magazine now has its own branded App in iTunes. 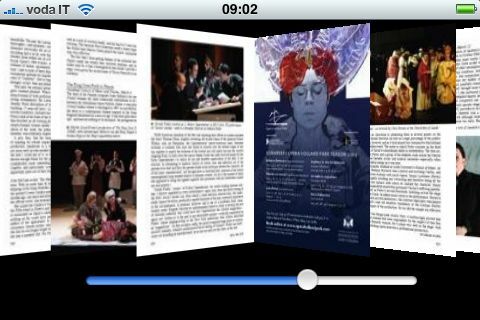 The Opera iPhone Application offers access to the latest monthly issue as well as to an archive of back issues stretching back to August 2006. The week-long subscription costs £1.19, or $1.99, or €1.59. Renewing for a month costs £3.99, which compares to a news stand price of £4.99.